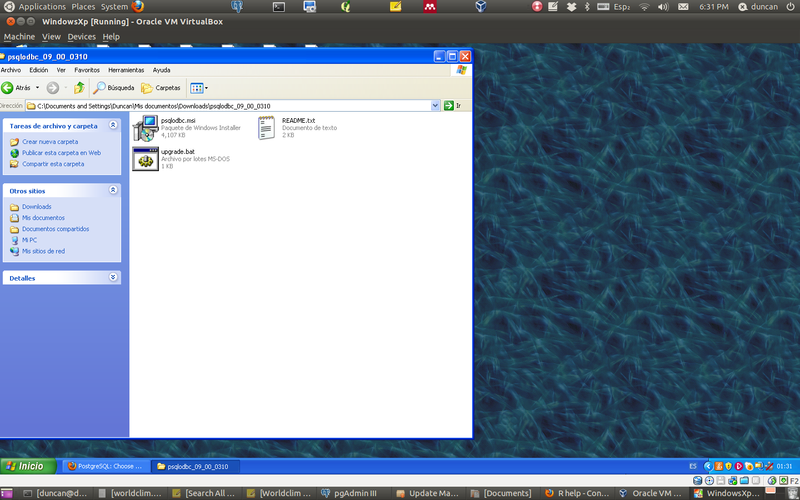 Just three quick steps in Ubuntu. 2. 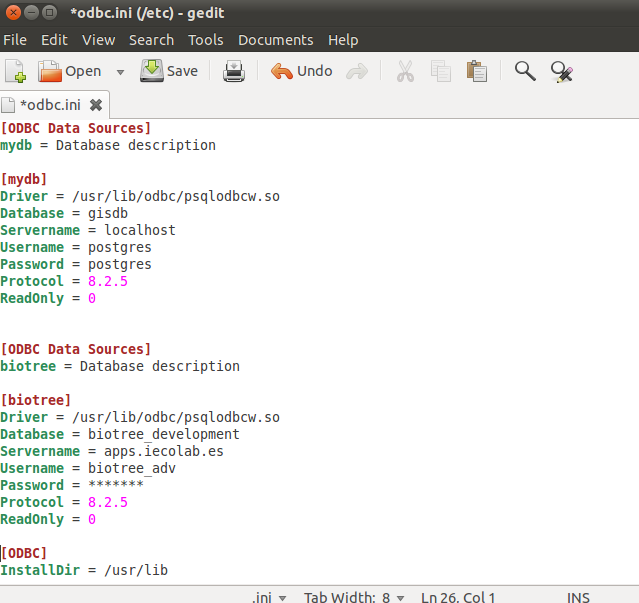 Edit the blank odbc.ini file. You can just paste in the text below. The first entry is for my own local database. Change the details to match your own if you have one. If you want access to the online Biotree.net database you need to substitute the real password for the ***** entry. 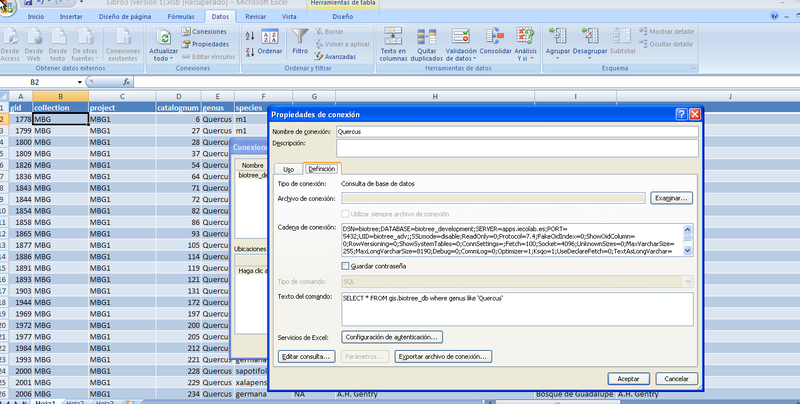 You now design a query and run it to get your data. Note that if you want spatial layers from a PostGIS data base in R you can use rgdal to connect to the data base. 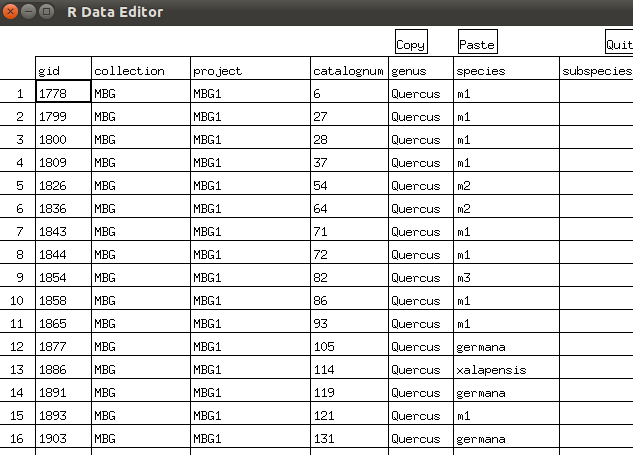 The problem is that you can’t run queries from within R using rgdal. You can only import the whole layer. The work around is to use system (ogr2ogr …) with a temp file, but for most purposes it is easier to visualise and edit the layer in Qgis and save as shapefile for importing into R.
What is the equivalent in Windows? It is a similar process but not quite as simple. 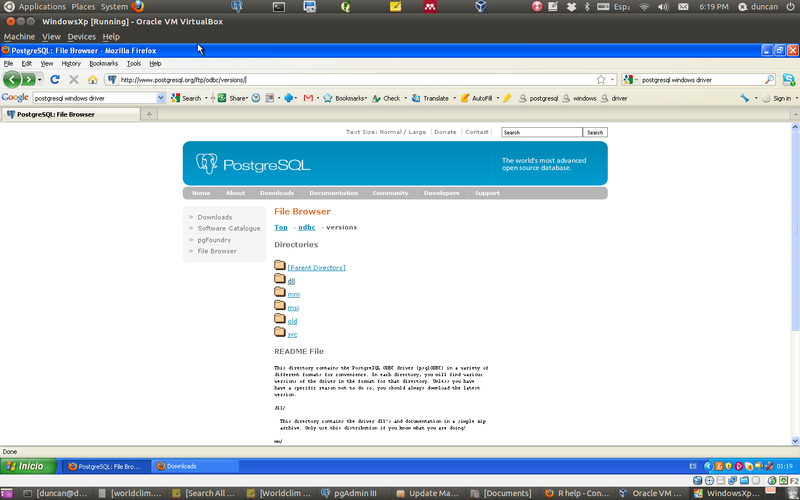 You first need to install the odbc driver from http://postgresql.org . The easiest way is to download the msi file that installs itself. You can use ODBC with R in the dame way, and you can also load Postgresql queries into Excel if you find any reason to do so.